We want to provide our clients with as much information as possible so that they can make a great decision all around. As a value-added service, we provide every one of our clients an amazing tool so they can keep to reference information they need to know about maintaining their home in the future. We took a few of the key tips out of this book in which you'll find below for quick access! Whether you have just decided to put your property up for sale or you already have a prospective buyer who shows interest in your house, you know that there will be a home inspection soon. And because you are aiming for a highly satisfactory report, you should be prepared for it. Check all the drains one by one by running water. If you notice that there’s a slow drain, you can call your trusted plumber to know whether a store-bought product would work or you need professionally handled. Dirty filters affect the efficiency of your HVAC system. Also, they are a big sign of neglect, which of course, is not the impression you want to make both with the inspector and the prospective buyer. Check all your attached light fixtures to see if all the light bulbs are properly working. See, a bulb that doesn’t light up could not just mean that the bulb itself is out – it may also be a symptom of an underlying electrical issue. Even if you think it’s just a small cracked window in the basement that’s hardly noticeable and definitely not at all important, it’s still going to show up on your inspection report. And as you know, any crack on that report is going to make a dent in the price of your home, too. If there are a lot of carpenter bees around, or a colony of ants has taken residence near your home – in fact, if there is any sort of infestation, you can be sure that it will show up on your inspection report. It’s a great idea to proactively eliminate pests. You should look at the expiration dates of your alarms and make sure that each unit is working properly. Every level of your home, including your basement, should have a smoke detector. You should also have one carbon monoxide detector on each floor of the home and ideally, it should be in the sleeping area. Take some time to look at the trees on your property. Are there trees with branches over your roof? They could shorten your roof’s life! They could also provide rodents with easy access to your chimney. And of course, those branches could always fall on your roof! Make sure you have your trees trimmed when needed. See if the earth slopes away from your home or towards it. If it’s the latter, it can easily lead to basement water issues. It’s a good idea to slope dirt away in areas that come in contact with your home’s foundation. Make sure that the inspector has access to critical areas of your property, including your electrical box, hot water heater, air conditioning units, furnace, attic door, and more. Your under sink plumbing work and any other areas that are blocked off by storage should be cleared. See, if the inspector is not able to access a certain area of your house, that would no be included in the report and your prospective buyer might ask questions. 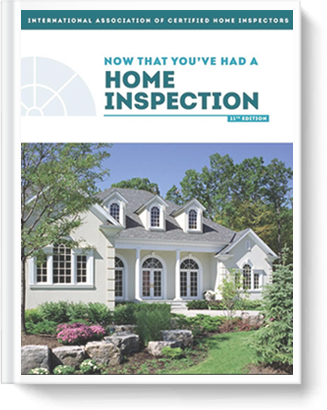 By following these tips, you can be sure that the inspection of your house will go well! Do you have any more questions? All you have to do is call! !